I was born in 1948. Starting at a young age, I enjoyed being alone, entertained by my imagination in a private world of pretending. . As I grew, I came to love observing people and their reaction to situations, especially their interactions with other people. Writing came later. In 1994, I was asked to participate on the Connections Leadership Project for the State of California. Half way through the three-year project, the editor asked if I would write and submit something for the book. Making Connections in Today’s World, published in 1997. The committee had a final luncheon to celebrate the end of the project. Near the end of the luncheon, the editor rose to address the group. He wanted to leave us with one final thought from one of the articles in the book. He began to read my article on the death of my son. Immediately I recognized my words and become very uncomfortable. . Finishing his reading, he then introduced me and said, “Thank you,” and concluded the conference. I quickly gathered my belongings and headed for the door. A middle-aged gentleman was making his way through the crowd heading towards me. Then, he said, “I couldn’t let you leave without speaking with you. I too, had a devastating lose recently. Your words have given me a new prospective. You changed my life.” He reached out and shook my hand, then turned and left, disappearing into the crowd. 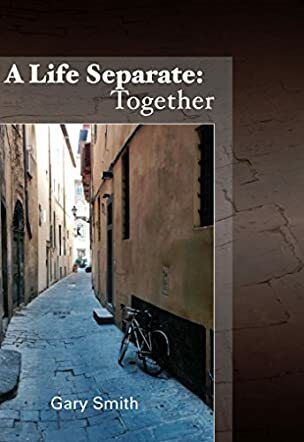 In that moment, I understood why I, and others, write. .
A Life Separate: Together is a novel of intrigue written by Gary Smith. Although this book is written as a sequel/companion piece to his earlier novel, The Willing, Smith provides enough background information for this book to be enjoyed as a standalone novel. Warren Steelgrave was thrilled to be back with Cindy again after their three years apart. He had settled in the small Italian village of Varni, which had been the home of his great-grandfather, and lived there for six months each year. While sitting at the Bar Pasticceria Cabosse the morning before, he looked up and saw her standing there. She was now divorced and had come to Italy to find him. They spent the day exploring the area and dining, and then the night in each other’s arms. Could this possibly work, he wondered. Their first adventure was to the Gran San Bernardo Pass, and they toured the monastery where the famous dogs are still raised and trained, but Warren began to notice that they were being tailed. Gary Smith’s novel of intrigue, A Life Separate: Together, immediately grabbed my attention with the incredible photographs of Varni, Gran San Bernardo and the other sights Warren and Cindy explored. I love travel fiction and found plenty in both the writing and those photographs to keep me happily engaged. There’s also a cracking good plot surrounding the famous lost papers of Nikola Tesla and Warren’s friend’s son, who had finally found them and had been kidnapped. Watching as Warren and Cindy interact as a team, even after their three years apart, was a joy, and made me wonder if Smith has future adventures for the two of them in mind. A Life Separate: Together is action-packed, suspenseful and fun, and it’s most highly recommended. Cover to cover the first time I picked it up, couldn't put it down.